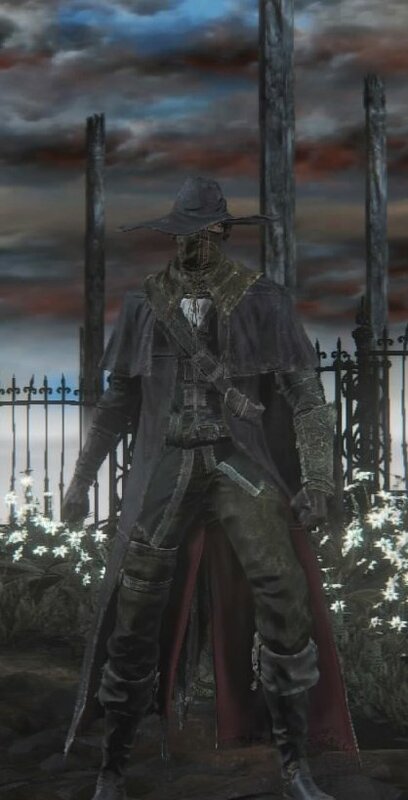 Old Hunter Set is an Attire or Armor in Bloodborne. It was added with The Old Hunters expansion. In the old days, when hunters were ten a penny, this was their standard garb." Old Hunter Top Hat: past the Nightmare Grand Cathedral and find a building that looks out of Central Yharnam. Go into the building that used to be the shortcut to the Cleric Beast in the main game. Dropping out of the window on the top floor to a ledge with a body holding the hat.